What's reminds of you of nature more than bears, fish or trees? How about all three on the same poly-cotton blend tee; now that's the stuff. 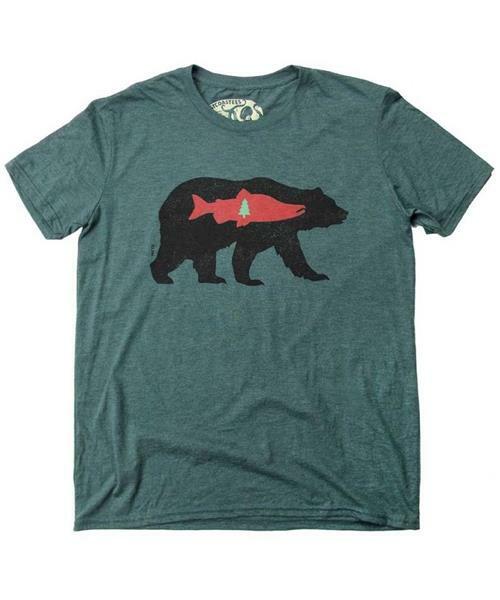 Tree Bear T-Shirt - Unisex is rated 5.0 out of 5 by 2. Rated 5 out of 5 by Drew from Extremely Comfortable! Bought this shirt on a whim. Loved the design and the fact that it is made in Canada is a huge bonus. Love supporting local companies that are bringing work back to the local communities.